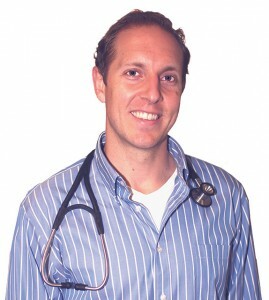 Dr. Jonathan Beatty is an award-winning Doctor of Naturopathic Medicine with a family practice in Whitby, Ontario. A graduate from the Canadian College of Naturopathic Medicine, Dr. Beatty also holds an Honours Bachelor of Science degree in Nutrition and Nutraceutical Science from the University of Guelph. He has a special focus on environmental medicine, diabetes, and autism spectrum disorder. Dr. Beatty conducts his family practice in the community of Whitby, Ontario. His special interests include endocrinology, sports medicine and pain management. Utilizing his extensive training in integrative healing techniques, Dr. Beatty is especially focused on treating patients affected by autism, cancer and cardiovascular disease. The foundation of Dr. Beatty’s medical practice and health education programs are evidence-based and his dedication to providing personalized natural health care treatment has, for three consecutive years, earned him the award of “Best Naturopathic Doctor” by the community he serves. He is passionate in his conviction that preventive medicine and lifestyle changes, including a well-balanced diet and daily exercise, are at the core of lifelong good health. As a knowledgeable and dynamic speaker, Dr. Beatty presents seminars and conducts natural health education programs. He is also an expert natural health advisor and media spokesperson for Prairie Naturals, one of Canada’s leading nutritional supplement brands. 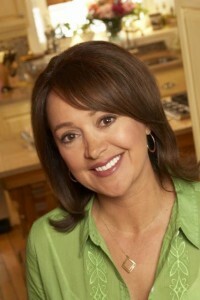 Join #1 national bestselling cookbook author, Food Network TV personality and Registered Holistic Nutritionist, Janet Podleski, for a heaping serving of inspiration, information, belly laughs and her most effective, cutting-edge strategies and tips to help create your healthiest body ever. Learn how to EAT instead of how to diet. Find out how to Win the No-Belly Prize! Along with her valuable NEWtrition tips, Janet also shares the details of her incredible, against-all-odds, entrepreneurial success story. Captivating, motivating, heartfelt and often hilarious, her story illustrates the awesome power of passion, perseverance, following your gut instinct and believing in your heart that ANYTHING is possible—even when everyone around you thinks you’re nuts. Learn and laugh your way to good health!